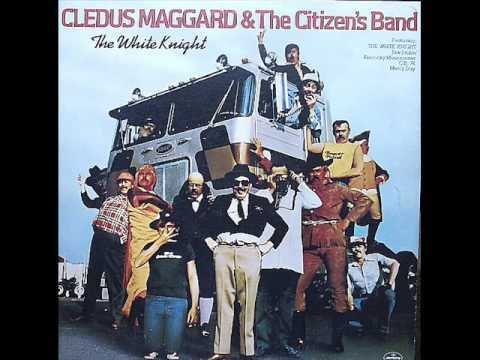 Hans Worst Hits of the 70’s- “The White Knight”- Cledus Maggard. A country novelty song from 1976 cashing in on the CB radio craze of the 70’s. What garbage. I had never heard this until listening to the replay of American Top 40 from March 1976 this morning. There is 4 minutes of my life wasted. The scary thing is- as I read about the song there is an extended version that went on for over 7 minutes. The four minute single seemed like it took a lifetime. This piece of rubbish went to #1 on the country chart and #19 on the Billboard Top 40. Predictably this was Maggard’s only hit on either chart. There were four #1 country hits in 1976 dealing with the CB craze [which I never really understood} the songs in addition to this were- Convoy-C.W. McCall, One Piece At A Time- Johnny Cash- [not one of his memorable ones} and Teddy Bear by Red Sovine. I dare anyone to listen to this the entire way though. My head still aches. Comedy and country music are generally not a good mix. Haha, I’d forgotten about this one. A novelty song for sure. 7 minutes long? The Stairway to Heaven of CB songs. I made it 29 seconds. His voice has a migraine-worthy whine to it. Isn’t white knight a KKK reference? No thanks. I’d never heard this turd until now. Thanks a lot Hans! It is unlistenable how did this become a hit? I honestly had to listen twice yesterday I couldn’t believe what I heard the first time.